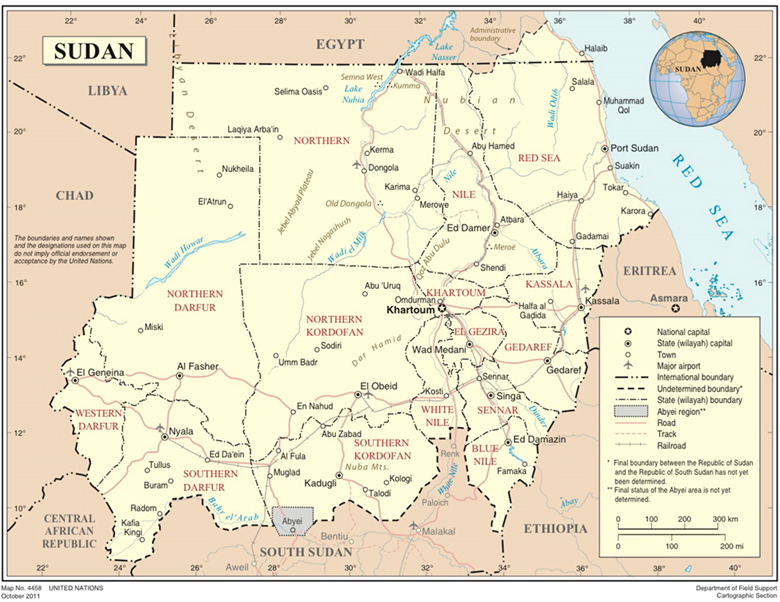 Sudan is the third largest country on the African continent with a total area of 1,882,000 sq km. The country has international borders with 7 states: Egypt, Eritrea, Ethiopia, South Sudan, Central African Republic, Chad and Libya. The River Nile traverses the country from South to North while the Red Sea washes about 550 miles of eastern coast making Sudan a bridge between Africa and the Middle East. Desert, semi-desert and dry in the utmost north. Semi-desert to rainy in central and southern regions and Mediterranean in the eastern areas. Mount Oda (2,259 m) is the highest summit of the plateau in the Nubian Desert, situated east of the Nile Valley. In the far west of Sudan lies the Darfur Plateau, with heights from 1,500 to 3,000 m (the highest point is Mount Marra, 3,088 m). A number of separate ranges, from 750 to 1000 m high, are scattered between the Kordofan Plateau and the Darfur Plateau. Other important mountain ranges in Sudan are the Kurdufan Plateau with heights from 300 to 600 m, Mount Pemading (1,460m), Moint Haraza (1,127m) and Mount Kineti (3,187 m), which is considered the highest point of the Ethiopian Highlands. The main river in Sudan is the Nile, and it has two branches, the White Nile and Blue Nile. The White Nile extends from the Uganda border to Khartoum, which joins the Blue Nile, and the two rivers form the Nile River. The Blue Nile starts in the Ethiopian Plateau. Plateau and plains predominate, which is crossed, from the south to the north, by the valley of the Nile River, formed by the convergence of the White and the Blue Nile. 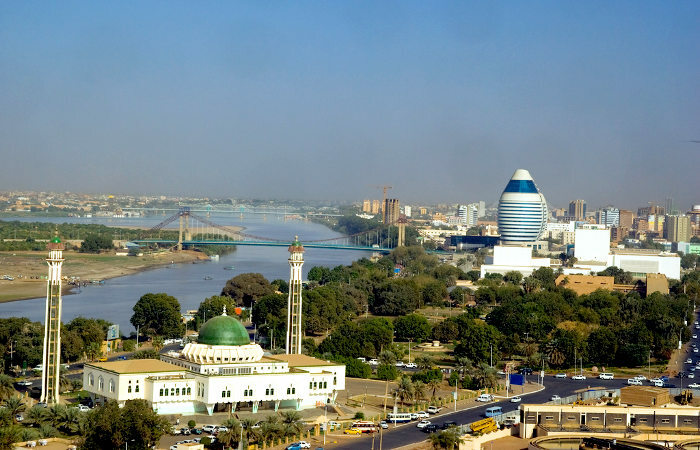 Khartoum, the capital of the country, lies in the area of their merger. All of Sudan’s rivers belong to the Nile basin. In the north stretch the Libyan Desert and Nubian Desert with almost no vegetation. 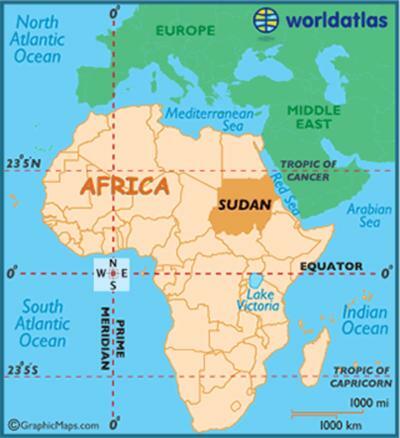 Islam: 96.7 percent of the population adheres to Islam and it is in all northern Sudan and large parts of the south. Islam spread to the Sudan from the north, after the Islamic conquest of Egypt In the summer of 642AD, ‘Amr ibn al-‘As sent an expedition to Nubia under the command of his cousin ‘Uqbah ibn Nafi. 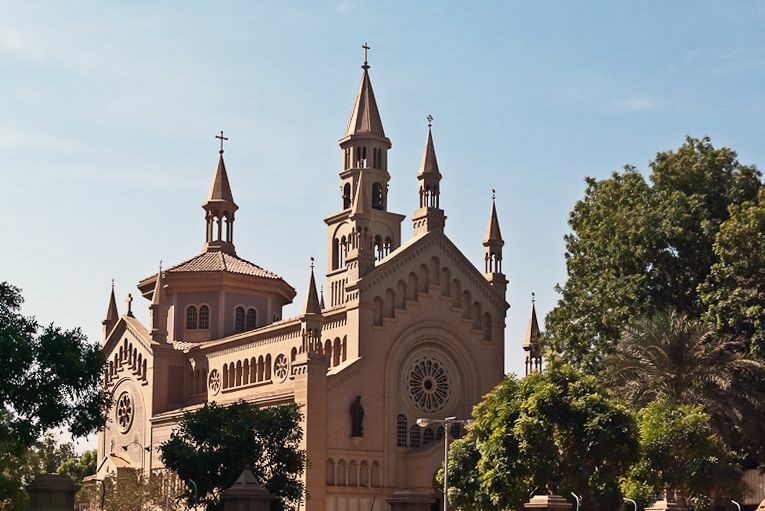 Christianity: The oldest religion in the Sudan and are currently in the Nuba Mountains and south of the country where citizens belong to multiple Catholic churches and evangelical Protestantism. 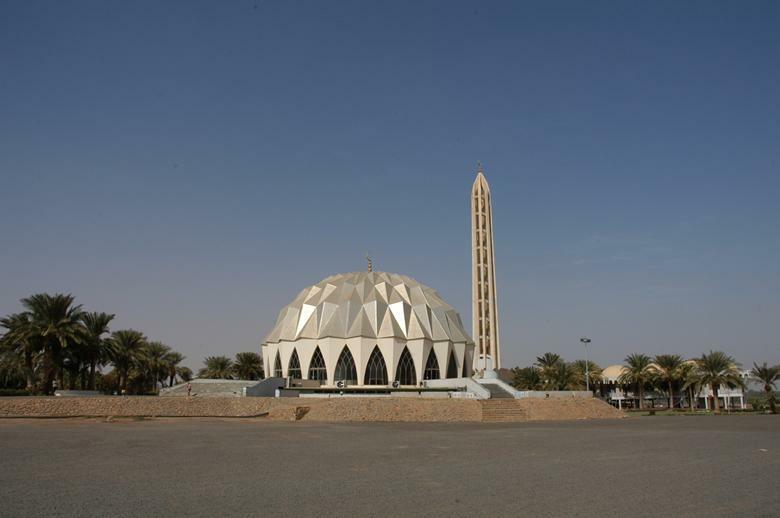 There is also a Coptic Orthodox Church in northern Sudan. 1. Arabic language the most widespread languages spoken by everyone in Sudan. 2. Nubian language in far north, (mainly spoken by Nubians of Mahas, Dongola and Halfa). 3. Beja language knows as Bedawit in Far East alongside Red sea, (mainly spoken by Beja of Hadandawa, Ababda and Bisharin). Beja in eastern Sudan in the eastern plains Sudan, Almapan in mountains Inqasna on the Blue Nile. Fung in the central parts of the Blue Nile, Nubians in northern Sudan, the population of the Nile in northern and central Sudan, the population of the savanna region in the mid-western Sudan, in the Nuba mountains of South Kordofan.